TECH TUESDAY: GET ORGANIZED! Why Project Management Software is Answer! Favorite programs include: Zoho Projects, LiquidPlanner, TeamWork and others. Association Management Monday: Give Us An 'R' for REFERRAL! 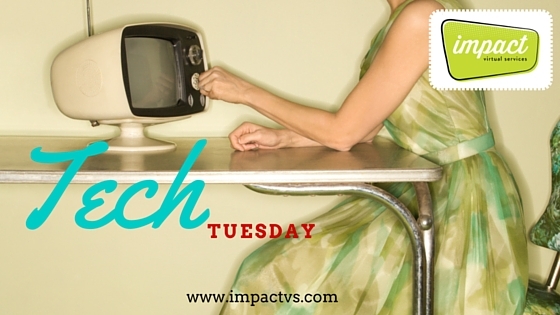 IMPACT VS TECH TUESDAY: 5 Best Technologies for Your Business!